West Bromwich Albion head coach Tony Pulis says he feels "privileged" as he prepares to take charge of his 1,000th match in management this weekend. Pulis will become only the 25th manager in English football to do so - an achievement that he will reach against former club Stoke City in Matchweek 6 of the 2016/17 Premier League. 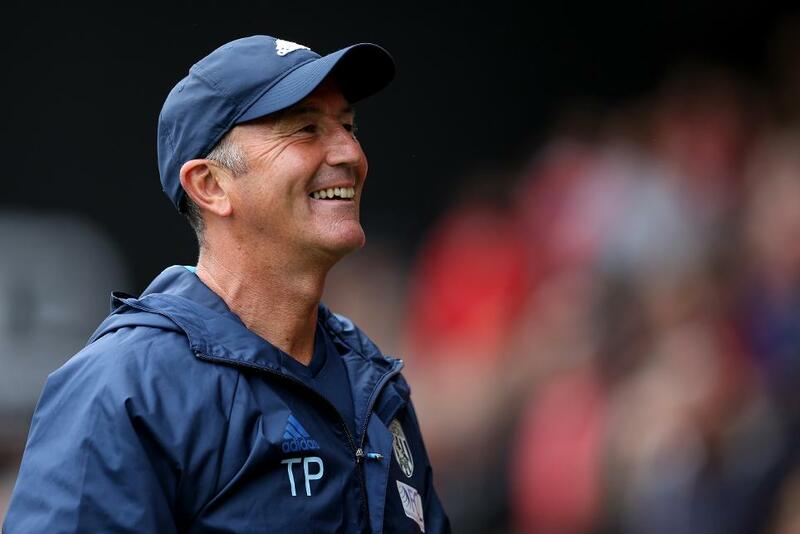 "Getting to 1,000 games in management, and for the game to drop at Stoke, its amazing really," Pulis told wba.co.uk. "When I come out of football I'll look back and think of my 1,000 games as an achievement. "I have been privileged and honoured to have managed a lot of clubs on the way to taking charge of 1,000 games." Pulis' side beat West Ham United 4-2 last weekend, the first time the Baggies have scored four or more goals in a PL match under the 58-year-old's reign. Nacer Chadli was involved in all four goals on his home debut and the winger is expected to play at the bet365 Stadium having recovered from a minor knock. Mark Hughes, who believes his managerial counterpart "will be approaching it like any other match" could have Xherdan Shaqiri available for the first time since scoring in Matchweek 1.